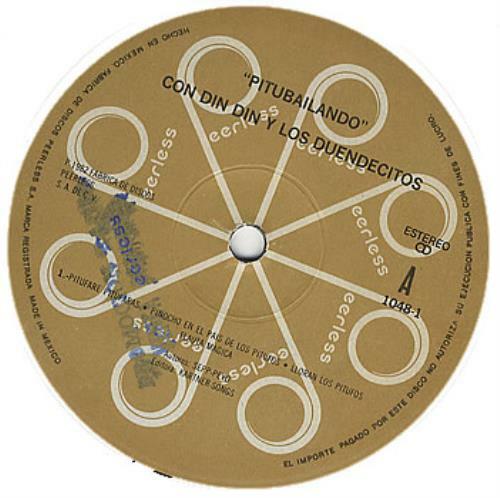 DIN-DIN Pitubailando (Super rare original 1983 Mexican Peerless label 2-track 12" vinyl single featuring two medleys - among the earliest recordings by group member Thalia [then 11 years old]. 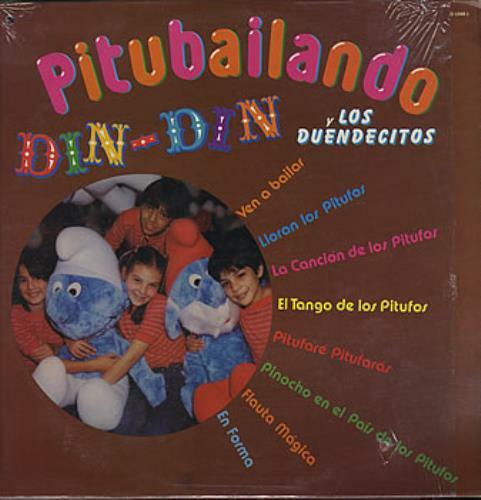 This release is near impossible to find in ANY condition as it was pressed in a very limited quantity, and being aimed at children any copies that do surface are almost unplayable, however this copy is in remarkable condition - the full colour picture sleeve has a small promotional punch hole in the top left corner but shows negligible wear as it remains in the original [opened] shrinkwrap, and the vinyl looks barely played - the kind of record that defines 'rare' in stunning shape! D-1048-1).